The article tells about the master of Irkutsk architecture, S. M. Grigoriev’s collaborative work with young architects in the late 1970s – early 1980s, his tutorial activity and his creative credo. GRIGORYEVA, Elena. The Master’s Hand. 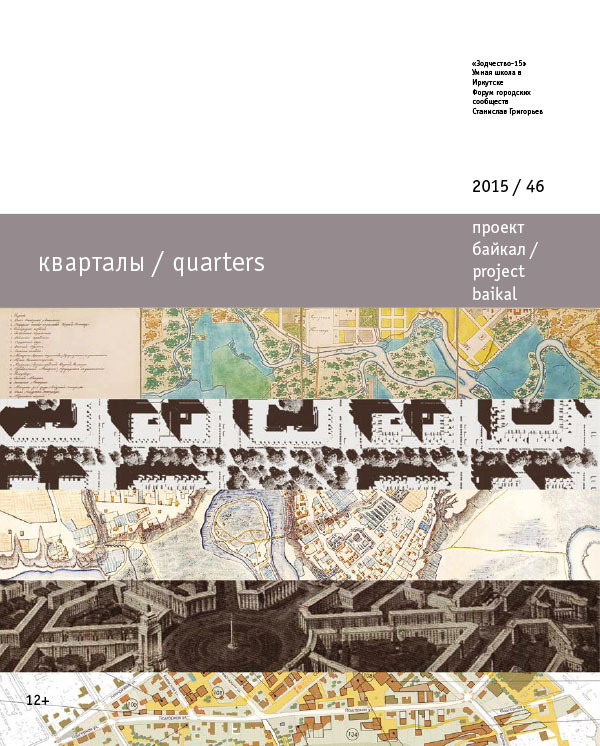 project baikal, Russian Federation, n. 46, p. 44-56, dec. 2015. ISSN 2309-3072. Available at: <http://projectbaikal.com/index.php/pb/article/view/939>. Date accessed: 26 apr. 2019. doi: https://doi.org/10.7480/projectbaikal.46.939.